Akai MPC Fly merges unmatched Akai Professional technology with the power of your iPad 2, embodying legendary capabilities that have made the MPC an industry standard like real MPC pads, MPC Note Repeat and MPC Swing. Its multifunctional, double-hinged design gives you the flexibility to produce tracks anywhere, while also acting as a protective case between sessions and giving you total access to your iPad 2 for normal uses. 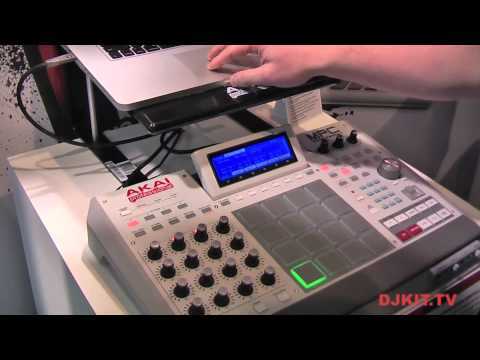 Considering purchasing the Akai MPC Fly? Have questions? Ask people who've recently bought one. Do you own the Akai MPC Fly? Why not write a review based on your experience with it. This product is the muts nuts. A really good product that gives good bang for its bucks. Obiously depends what u want it for.. Got it as a last min replacement after i broke my 2500 Was dissapointed that the software dosnt allow for multi laying on the pads. Apart from that the hardware is very responcive and was quite impressed. Havent had a chance to explore the full extents of the impc yet but from the looks of it is pretty basic. Again depending on what u want to use it for, it did the job for me. 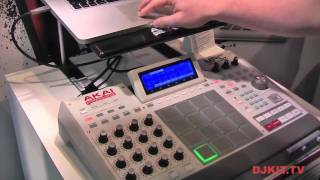 Seen a video for Akai MPC Fly online or have you own video? Check out Akai MPC Fly on DJkit.com!